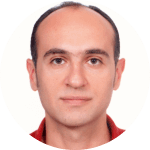 I am currently a research assistant and Ph.D. candidate at the Department of Political Science and Public Administration at Middle East Technical University (Ankara, Turkey). I hold an MA degree in Communication Sciences and undergraduate degrees in Sociology, Journalism and German Language and Literature. I have been a MAXQDA user since 2015 and organized more than five introductory starter workshops for the undergraduate and graduate students of the department. I have used MAXQDA for collecting and analyzing the qualitative data in my former research projects and currently using it for the Ph.D. research on the Internet-mediated narratives of the subaltern classes. Mutlu, M. (2017, 29 August-01 September). Can the subaltern post? Paper presented at the 13th Conference of the European Sociological Association (ESA), Athens, Greece. Mutlu, M. (2016, July). Publishing experience of the urban poor: Katık Newspaper. Paper presented at the 3rd ISA Forum of Sociology, Vienna, Austria.